Today we take toilets, showers and indoor plumbing for granted, but it wasn’t that long ago that indoor plumbing was considered a luxury that few could afford. Plumbing really took off in America between 1929 and 1954 and is now a vital part of every modern home. Here’s a brief recap of the plumbing history of America’s Northeast. In the early 1840s, things such as running water, a toilet, a hot shower and a relaxing bath in an actual bathtub were simply inconceivable and out of reach for the vast majority of Americans. Only the wealthiest families and businesses could afford indoor plumbing. This is due to the high cost of materials, labor and the fact that most houses were not designed with indoor plumbing in mind. Most people still used outhouses and privies. The Tremont Hotel in Boston has the distinction of being the first hotel with indoor plumbing, something truly luxurious for their patrons. Manhattan, New York in the 1800’s was a busy and rapidly growing place but had a limited supply of clean, potable water. 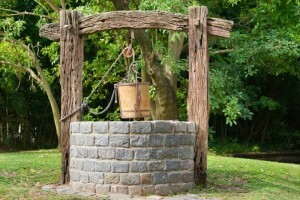 Most New Yorkers got water from wells, cisterns and small bodies of water. However, these water sources soon became polluted and clean, accessible water was desperately needed. In 1837, construction began on the aqueduct. In 1842, the Croton Aqueduct System officially opened and forever changed modern plumbing history by supplying buildings with running water from the Croton River and into water reservoirs in urban Manhattan approximately 40 miles away. While this made life a bit easier, there still was no system to remove waste water. Previously, if you had to do your business, you had to literally go outdoors to an outhouse. From 1845 to 1850 systems were finessed to efficiently remove sewage away from buildings. Now all the parts of the equation have come together to allow more affordable and sustainable indoor bathrooms in American homes. 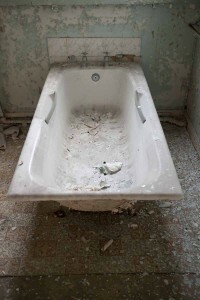 Many unused bedrooms at the time were transformed into an indoor bathroom, and demand dictated that all new homes be built with separate indoor bathrooms. It may seem unfathomable that hollowed tree logs were still used at this time to transport potable water and sewage waste, but this was the case. Wooden logs were also an effective way to convey water to fight fires. These wooden pipes were often attached to city mains in strategic places throughout the city to aid firefighters. It wasn’t until the 1960s that copper tubing became commonly used in American homes. Since 1947, Heidler, Inc., a family ­owned and operated plumbing company, has been proudly serving Annapolis, MD. Are you tired of hidden fees and unknown costs? At Heidler, we like to keep things simple which is why we use flat fees. Book an appointment today by calling us at (410) 268-­7191.